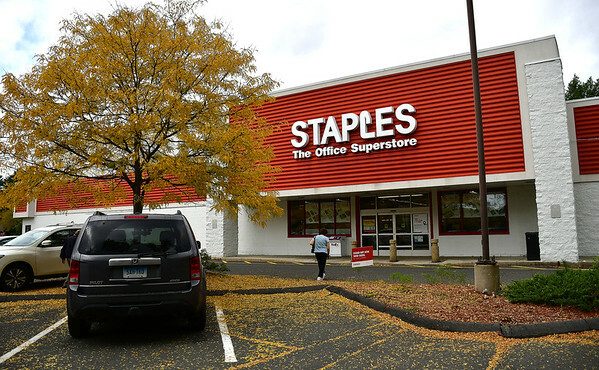 BRISTOL - Staples’ store at 871 Farmington Ave. will be closing Nov. 2. The Bristol outlet of the national office supply chain opened on Nov. 19, 1998, according to Meghan McCarrick, a Staples spokeswoman who confirmed the upcoming closing on Tuesday. McCarrick said customers at the Bristol area can shop at Staples.com or at the Southington or Waterbury stores. Justin Malley, executive director of the Bristol Development Authority, said he learned last week of Staples’ plan to vacate the 24,245-square-foot space. He then got into contact with Realtor Carl Zoephel of Colliers International. “We will immediately begin working with the Realtor and we will do what we can in assisting them with acquiring a new tenant for that space,” said Malley. Zoephel said that, while “nothing is set in stone” as far as finding a new tenant for the space, there has been interest expressed already. According to Zoephel, Staples looks for new locations nowadays to be 12,000 to 14,000 square feet. Zoephel said that, over the past half-dozen years, Staples has been closing “hundreds of stores” throughout the country. “It’s, honestly, remarkable that this one remained open as long as it did,” he said. According to a March CNN article, Staples reported a $548 million loss and a 3 percent drop in sales for the fiscal fourth quarter, which ended in January. As a result, Staples said at the time that it would be closing 70 stores, which would represent 4.5 percent of its 1,600 remaining locations, this year. Staples closed 48 stores last year and has shut down 350 stores the past five years. Staples attempted to merge with Office Depot, but that deal was blocked by the Federal Trade Commission. Posted in The Bristol Press, Bristol, General Business on Tuesday, 9 October 2018 21:02. Updated: Tuesday, 9 October 2018 21:05.